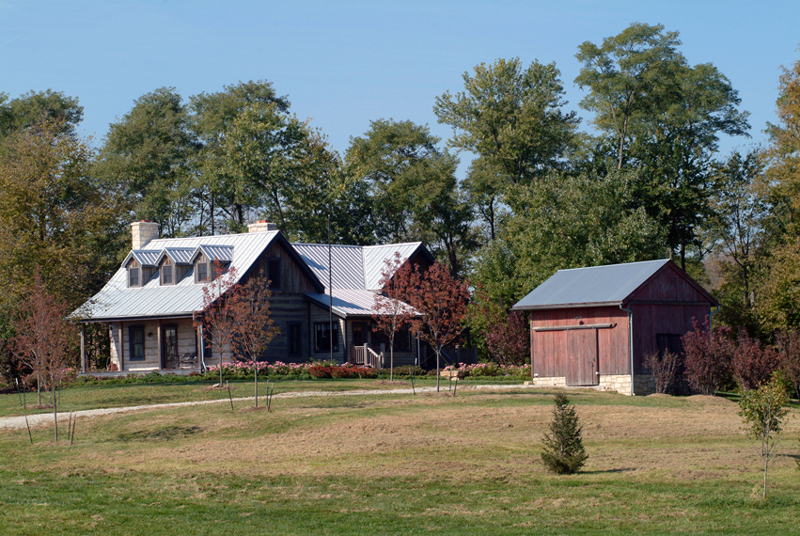 STRATA Architecture Inc. was hired to design a new residence on existing farm land in rural Missouri. 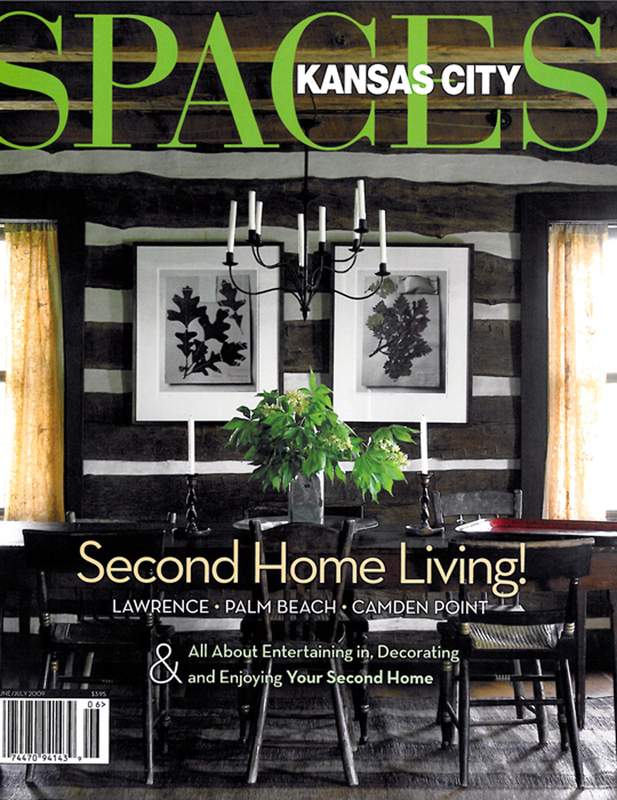 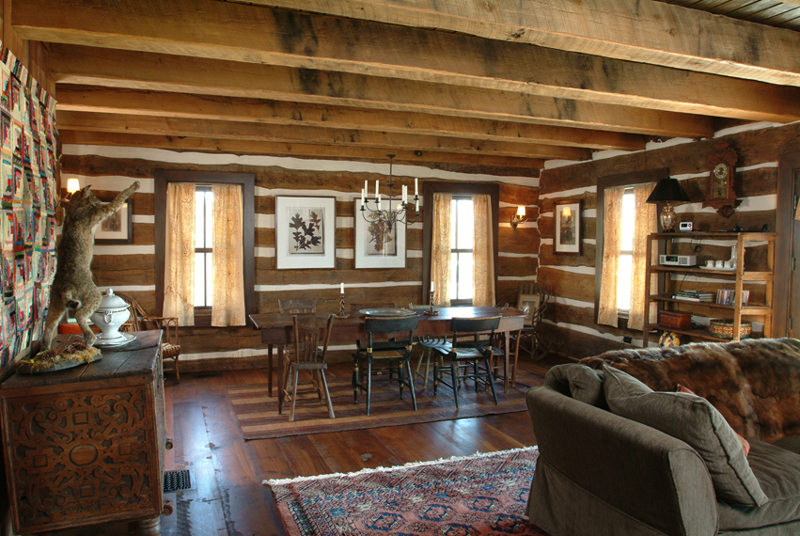 A historic early 1800’s log structure was measured, dismantled, relocated to the site, and rechinked using historic methodology on a new concrete foundation. 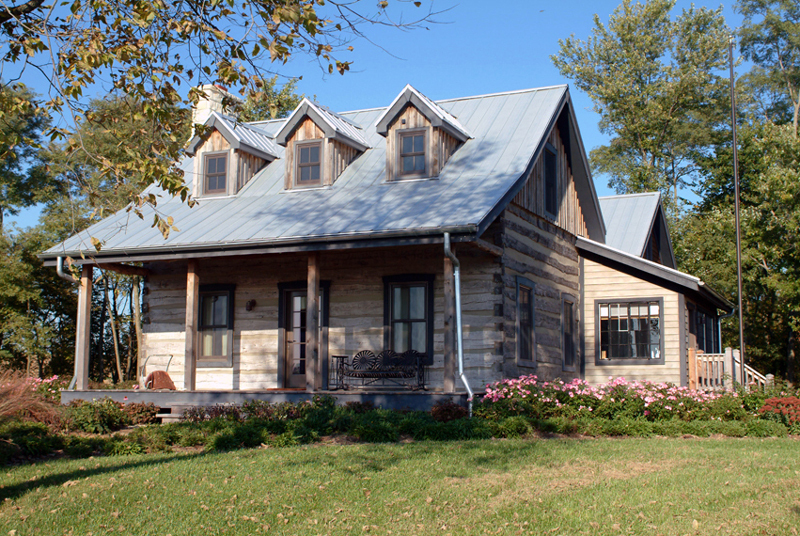 Our firm designed new dormers and multiple additions to the rear and side of the historic log section to accommodate bedrooms, bathrooms, a large kitchen, and mudroom. 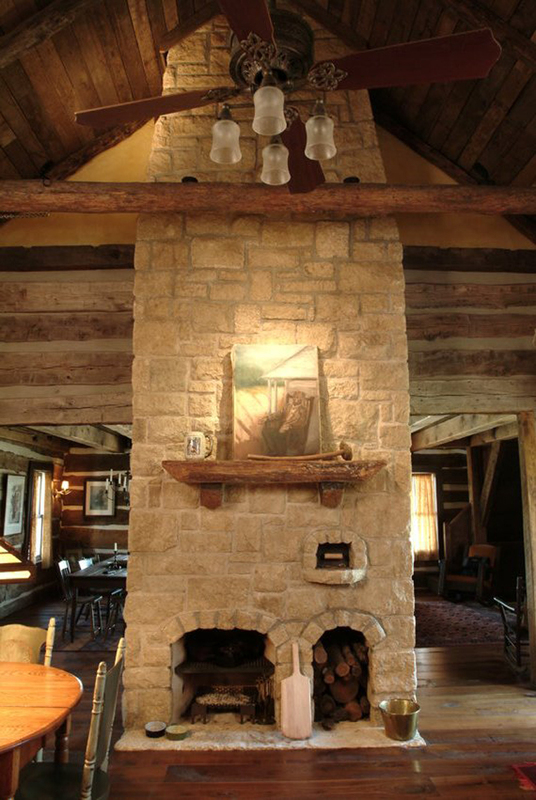 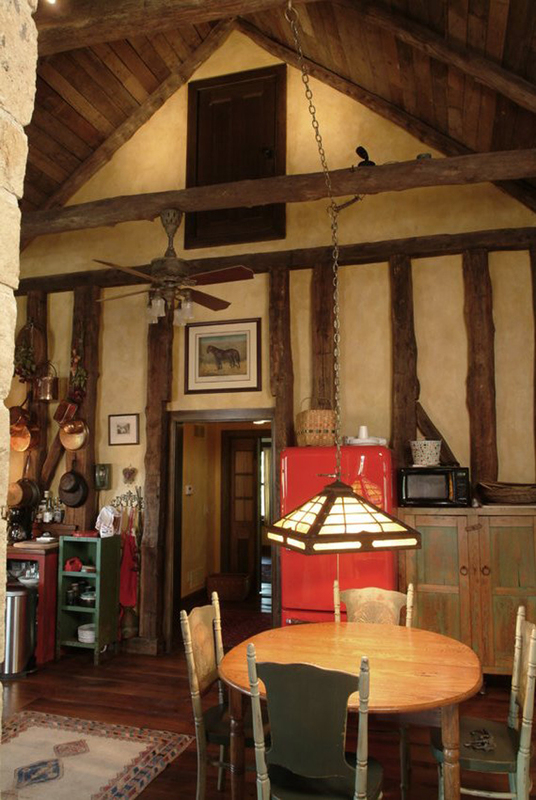 We designed two limestone fireplaces for the interior, one in the original location within the log structure and the other adjoins the log structure and the new kitchen addition. 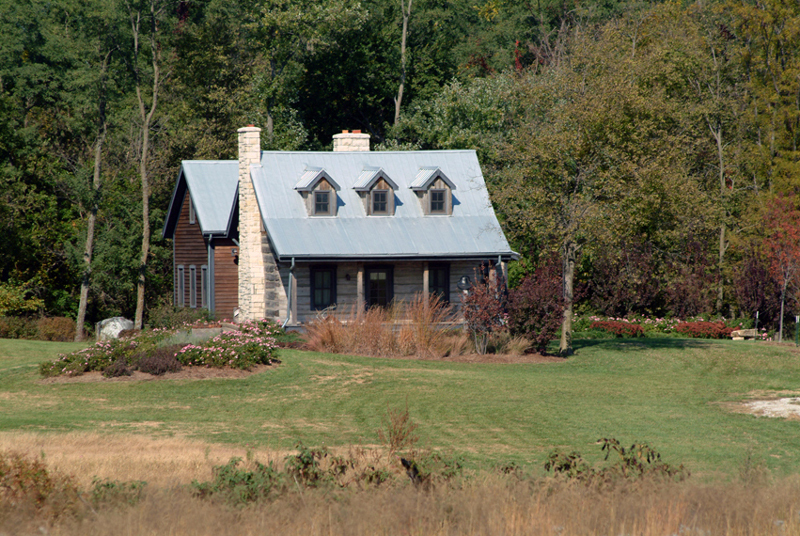 Our firm worked with a Landscape Architect to ensure the new residence, outbuildings winding driveway and pond were placed naturally on the site to enhance the native setting.